We are a team of committed high school students from all over the U.S. We saw our peers and friends struggle with high school classes and we wanted to help them. We also saw many people from worse schools and less fortunate areas economically, who never got the learning opportunities that we could take for granted. We saw our fellow students suffer from a lack of personalized help, and found that adult tutors often couldn't really help them; that these students needed someone who could speak to them on their level. We know that knowledge is the torch that lights the path to a better life and a stable income, and want to ignite that torch for as many other students as we can. We were doubly inspired by our own teachers, to learn and to teach, and want to be that inspiration for those of our peers who are struggling. That's why we started InstaTutors, a student-run nonprofit organization aimed to combat educational disengagement through accessible, free, and high-quality tutoring. We require high grades from all of our tutors and look for people with a knack for explaining. 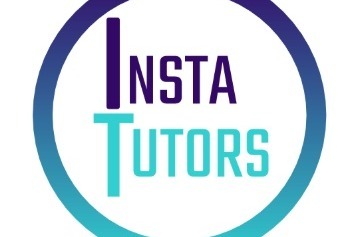 We plan to conduct tutoring sessions by video call and upload videos on common topics to help everyone that we can. We have a web interface up at instatutors.org, and mobile interfaces in development; we are working on these ourselves for the purpose of improving accessibility for tutees. We need at least $1,250 to cover launching expenses, chief among them being 501(c)(3) registration ($650), release fees for our mobile apps ($125 + $100 per year), and database fees ($25 per month). We hope that you can join us by donating; be it a little or a lot, everything helps!